I used to go to a reflexology salon once every two or three months in Japan. Unfortunately, I had not been able to find reflexology salon in Seattle. But now, I am happy to know Junko Kikuchi-Chung, a Seattle Reflexologist, and was introduced to her through my friend. I am very satisfied with Junko since she applies nice, perfect stimulation to my feet. I do not like any of the harder, Chinese Reflexology styles since their treatment can be painful for me. Junko offers a warm, comfortable environment with aromatherapy incense and soft music that allows me to comfortably relax and doze-off. Junko can skillfully stimulate meridian points nicely with little pain. Since I work at a retail store, I am continuously on my feet and as a result, I tend to have foot and lower back pain. Reflexology is the best method for me to ease my tiredness. I also appreciate the herbal tea after the session and discussing with her about my body condition. I prefer receiving Reflexology treatment while sitting on a reclining chair but the pillow Junko uses is very nice. Since leaving Japan, I had forgotten about reflexology, but Junko reminds me of how wonderful it is. I've known Junko for six years. When I met her for the first time, I had a strong sense that her work would be something to do with healing, because of her calm and gentle energy. Now no wonder she works as a reflexologist. I had my first reflexology session with her. The location of her clinic is very convenient. Her room is very bright, clean, welcoming, and peaceful. She is extremely knowledgeable and she is continuously searching ways to improve. She listened to my concern very patiently before she started, and I felt that I was understood by her. During the session, I felt she really knew what she was doing. After the session, I felt so relaxed, and also I noticed that my breathing became easier. She explained the details about what she worked on specifically, and also what I could pay attention to more. Her passion for healing people through reflexology definitely touched my heart. I strongly recommend her for your next visit. Recently I had the opportunity to have several sessions of reflexology with Junko Chung. Junko explained to me what she was going to do during each session. She made sure that I understood that I could ask questions about anything she was doing and gave me plenty of time to ask those questions. Junko also made sure that I was in a good comfortable position before we started. 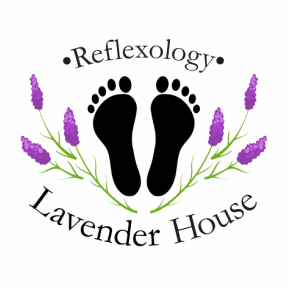 I had heard of reflexology many years ago and knew only that by “working” certain areas of the feet the practitioner could create a healing effect in other areas of the body. I have had some experience with these type of “energy” systems but never with reflexology. As a nurse working in an outpatient orthopedic clinic my feet were always sore or painful at the end of my shift regardless of the type of footwear that I wore. When I had the opportunity to have reflexology it was all about having someone massage my feet and hoping that it would make them feel better. As it turned out I got that wish and a lot more. When Junko started working on my feet the feeling was just great and made me realize how much discomfort I chronically had with my feet and ankles. It also did not take long to become really relaxed. How good I felt then made me realize just how much stress I must have been caring around. I was very sad when our session was done. When I got up and started to move about I felt like I was walking on air. Not only did my feet feel so much better but I felt both relaxed and energized all at the same time. Not only did my feet remain pain free for several days but that energized feeling stayed with me for several days as well. I would recommend reflexology to anyone for relaxation and the alleviation of discomfort.